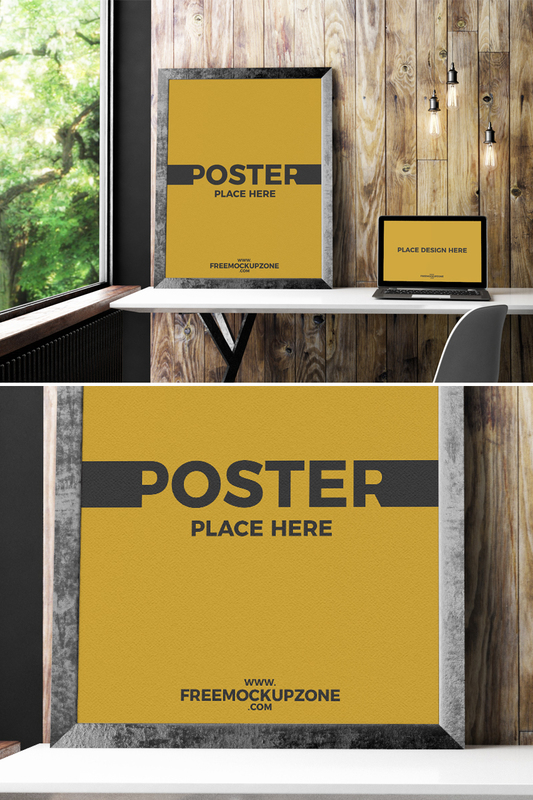 Today i am sharing two in one mockup with all designers is Free Laptop With Poster Frame Mockup. This mockup is fully customize and ready to showcase your designs in a flawless way. Make your presentation fabulous by placing your design in smart-object layers. Get connected with us for more free mockups. Note: Free Mock-up Zone allow you to use mock-up (freebie) personal and commercial purpose, but Back-Link is very important.